This slim bi-fold wallet is handcrafted from nappa leather in the new Intrecciato Checker workmanship. The boldly graphic woven motif brings a fresh touch to an essential piece. 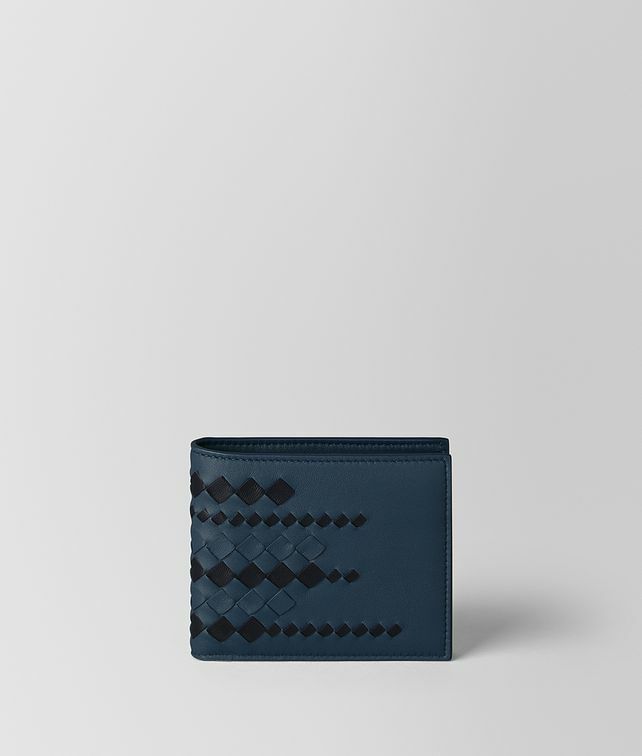 The streamlined style features four credit card slots, two bill compartments and a coin compartment.